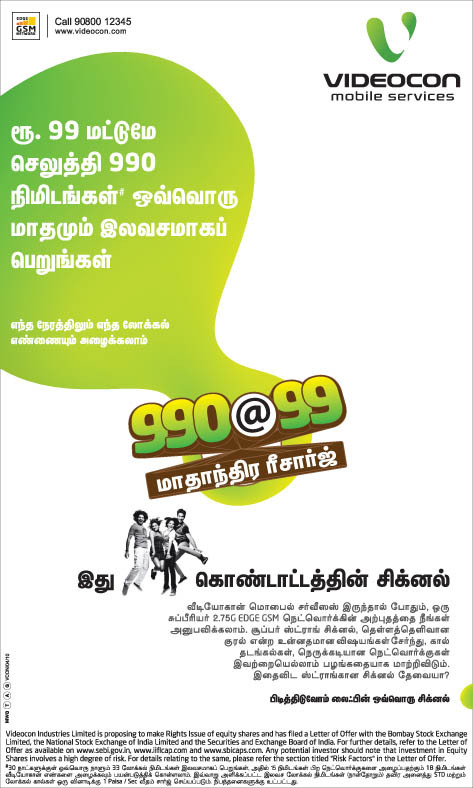 Pay Rs.99/- to get 990 minutes of talktime free for a month. Call any local number at any time using the talktime. Enjoy superior 2.75G EDGE GSM network. Strong signal and no network congestion. Get 33 local talktime minutes everyday for the 30 days. Out of the 33 minutes, 15 minutes for other networks and 18 minutes for Videocon network calls. All other local and STD calls will be charged at 1 Paisa / Sec.